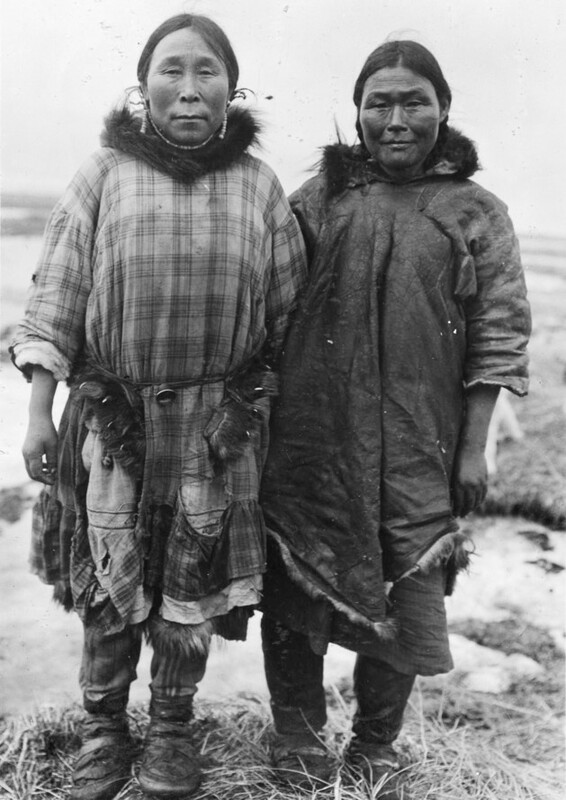 Two women pose wearing earrings and waterproof boots. Cape Prince of Wales, circa 1915. Courtesy of the Anchorage Museum, B81.164.78.